Alastrean House, formerly known as the House of Cromar, is one of two large country house on the estate, Douneside House being the other. It was built in 1905 by Lord Aberdeen, as a country retreat for his wife, and was originally surrounded by 9,000 acres of agricultural land which made up the Cromar Estate. An arrangement made in 1920 between Lord Aberdeen and his friend and neighbour, Sir Alexander MacRobert, saw the Cromar Estate and house eventually pass to Lady MacRobert in 1934. The house was to be for the use of the MacRobert boys and their families, but sadly they never had a chance to use it extensively. 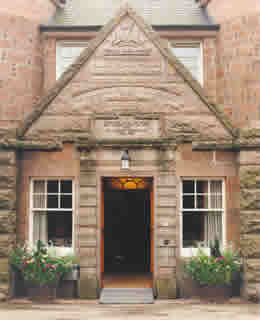 After their deaths, Lady MacRobert renamed the house Alastrean House, a name which derives from a composite Latin phrase meaning “a place of honour by the hearth of the winged heroes of the stars”, and offered it as a rest and recuperation centre for RAF and Commonwealth aircrew on active service. After the war, Alastrean House continued to be used as a Royal Air Force officers’ leave centre until it was almost totally destroyed by fire in November 1952. The house was refurbished and re-opened at an impressive ceremony in April 1958. In 1984 Trustees offered the use of Alastrean House for a small consideration to the RAF Benevolent Fund for use as a retirement home and the house continued in this role, with two new wings added, until 2005 when the Benevolent Fund decided to focus its operations elsewhere. The Trustees then leased the house to the Balhousie Care Group and it continues to this day as a residential care home with respite facilities. 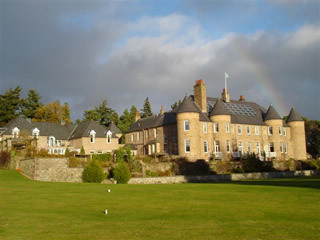 Alastrean House continues to be owned and maintained by The MacRobert Trust and will be kept as a memorial to the three MacRobert sons for as long as The Trustees determine. Adjacent to the house is a beautiful nine-hole golf course, originally commissioned by Lord Aberdeen for the use of his family and their many visitors. 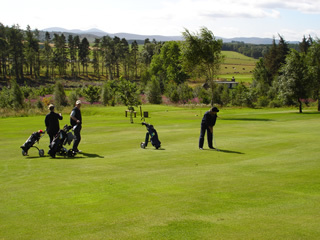 The famous pioneer of professional golf, Old Tom Morris, designed the course and after it passed into the MacRobert family along with the rest of the Cromar Estate it was given over to the village for a nominal annual rent and continues to be run for and by the community as a golf club. The current clubhouse was built in 1970 with a donation from The MacRobert Trust, at no cost to club members.